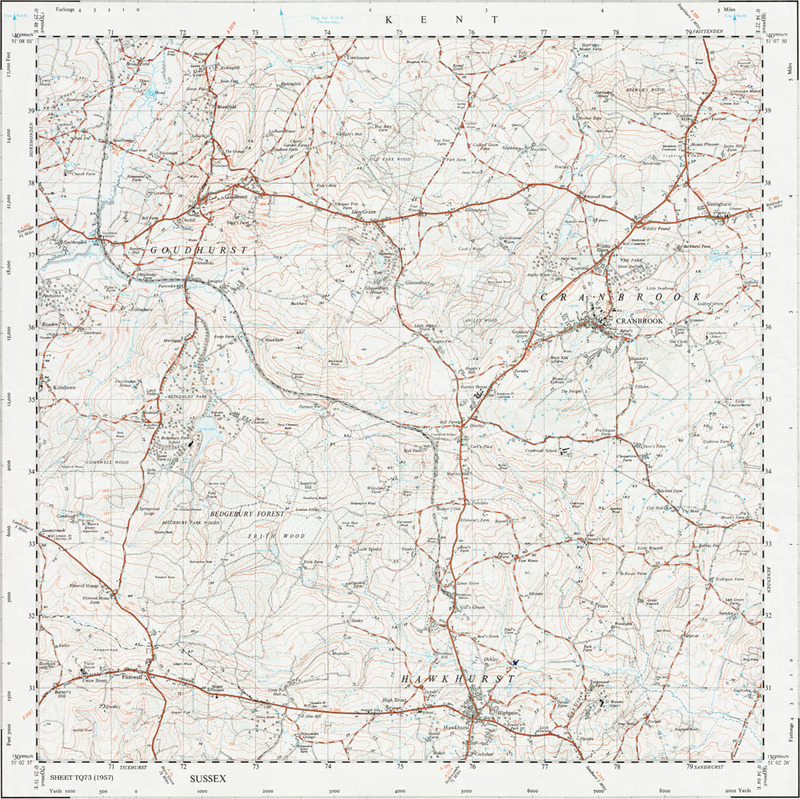 PDF DOWNLOAD: full size 400dpi scan of the original map measuring 44 x 44 cm, complete with all marks and additions as seen below. Our downloads are high quality with no pixelation even at reasonable high zoom levels (see Sample, below). For more information about downloads, please read our PURCHASING page. The date given for this map is publication, not survey date. It was not created from contemporary survey data, but was re-drawn in National Grid format from old 1:10,560 scale (6") maps, often many decades old. So it is possible to locate buildings, field boundaries, roads, railways, etc, which had long disappeared when the map was published.